The paper has now been marked and below are my comments on the answers given by the current Year 7 students. 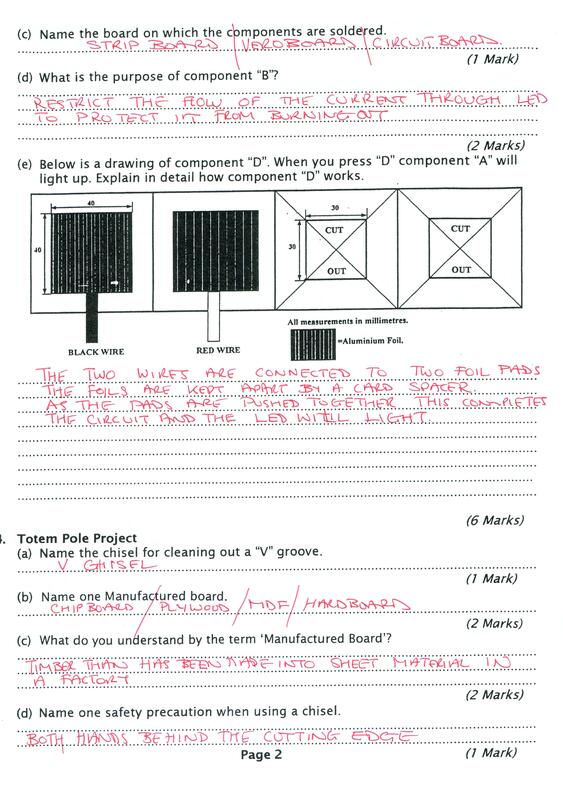 Question 1: Most people were able to answer this question on pillar drill safety very well indeed. 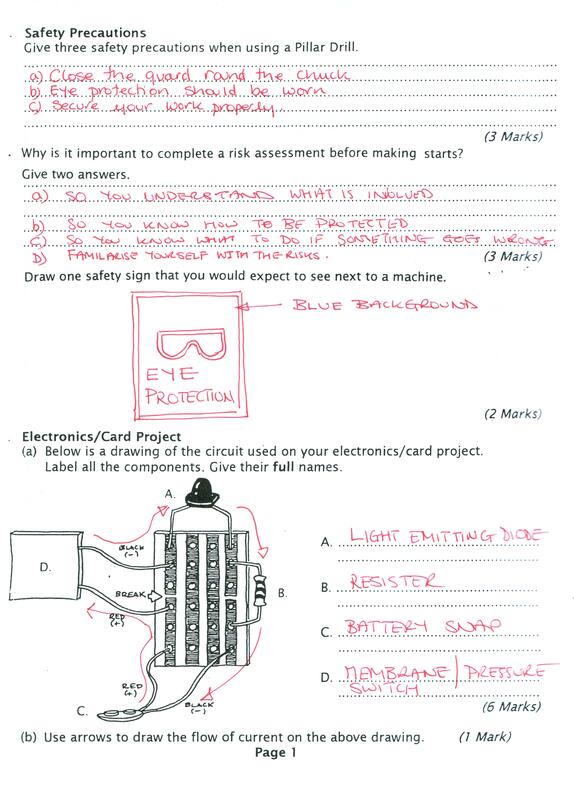 Question 2: Risk assessments: Again most people were able to assess why there was a need for the completion of a risk assessment for processes and tasks. Safety signs: Students should remember the different types of signs which are used. Look at the signs shown below and in particular the colours and shapes used. Question 3: Electronics: Most people recalled the name of the LED, Battery Snap and Switch but for many the RESISTOR was a challenge. The circuit diagram required you to show the direction of current flow: Remember the current always flows from + to -. The circuit is secured to a circuit, strip or vero board. The purpose of the resistor is to limit the flow of current through the circuit and protect the delicate components which would be damage by high current. the resistor does NOT alter the current or stop the LED blowing up!!!!! The switch was described by most students accurately.